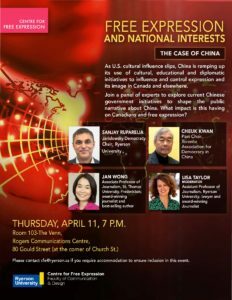 Ryerson Centre for Free Expression is holding a public forum on “Free Expression and National Interests: The Case of China”. 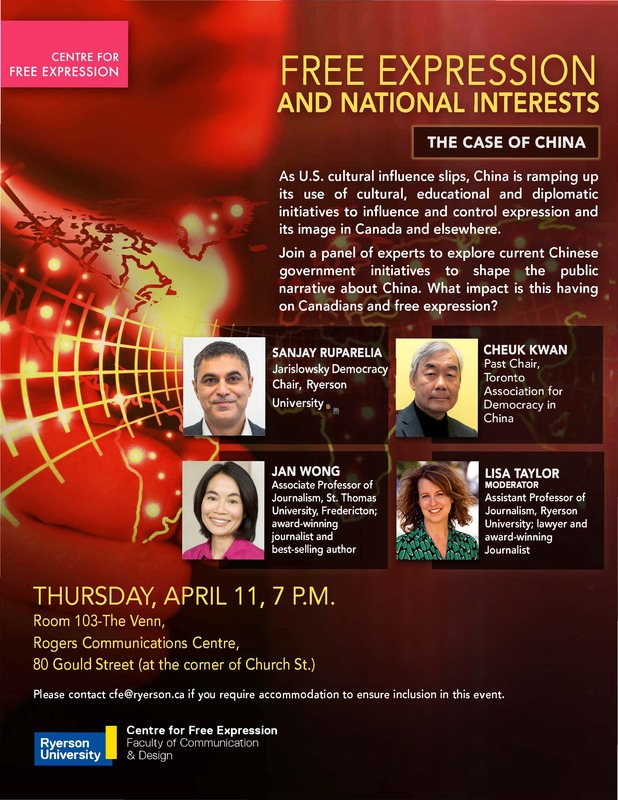 The discussion panel includes Sanjay Ruparelia, Cheuk Kwan of TADC and Jan Wong, with Lisa Taylor as the moderator. This forum is free and all are welcomed. Please check out the following web page for more details.